A brutal serial killer stalks the Seattle night. Regina Greenleaf was one of the victims. Her beautiful twin siter, Renata, is deeply traumatized. Renata talks only rarely, and then always in twin-speak, the special language she and Regina made up long before they'd learned to speak English. 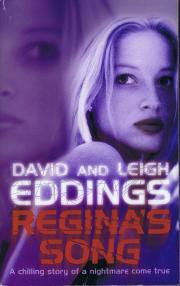 Mark, a college lecturer in English, is Renata's friend and the only person she talks to. 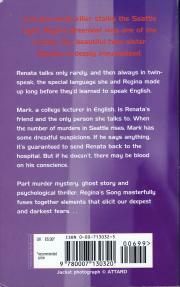 When the number of murders in Seattle rises, Mark has some dreadful suspicions. If he says anything, it's guaranteed to send Renata back to the hospital. But if he doesn't, there may be blood on his consience.